2010 has been a very good year for cookbooks, and a very, very good year for baking cookbooks indeed. I can’t buy bookshelves fast enough to keep up with my ever-multiplying book collection. Here, then, a bakers’ dozen of my favorite baking cookbooks from this year – it was diffcult to choose! Hopefully some of them will find their way under your Christmas tree or next to your mixer! 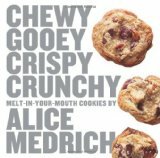 The first time I met Alice Medrich was when I was a pastry school student at Tante Marie’s Cooking School and Alice came to make her nibby pecan cookies. These cookies make an encore appearance in her latest book, Chewy Gooey Crispy Crunchy Melt-in-Your-Mouth Cookies , along with dozens more unique recipes to fill your holiday cookie jar. What I enjoy most about Alice, and this book, is her unceasing curiousity; she’s always experimenting and tweaking her recipes to reach new levels of flavor. She’s played with her nibby pecan cookie recipe, as well as her famous brownie recipe, and created many other brand-new ones. You may think you have enough cookie recipes in your collection, but not when Alice takes to the kitchen. I love hoarding cooking magazines, but invitably they end up in dusty stacks in the corner of the room, filled with post-its tabbing recipes I’ve forgotten I wanted to try. That’s why I’m thankful for Bon Appetit Desserts: The Cookbook for All Things Sweet and Wonderful , which compiles Bon Appetit’s greatest hits into one gloriously thick volume. I get many e-mails from people looking to start their own pastry shop. 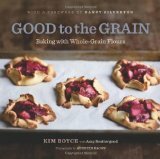 Flour: Spectacular Recipes from Boston’s Flour Bakery + Cafe is Joanne Chang’s success story – a neat collection of some of her greatest hits from her beautiful bakery, including those famous pop tarts. A lovely blend of simplicity and elegance. Since it’s hard to justify buying a dozen more cupcake or baking basics cookbooks, I’m always on the lookout for specialty publications. 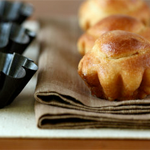 My favorite this year might have to be Good to the Grain: Baking with Whole-Grain Flours . White flour seems like such a cornerstone of baking, but open the door to ancient grains like amaranth and teff, and suddenly you’ve got a whole new playground to explore. Very nicely photographed, as well. 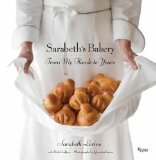 For those who complain about not enough photos in cookbooks, Sarabeth’s Bakery: From My Hands to Yours is the book to get. 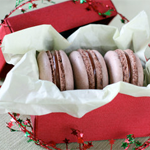 Filled with step by step photos so you get a walkthrough of how to make everything from jams to breads to croissants. Really beautifully done, it’s the kind of cookbook I wish I could do! Matt Lewis and Renato Poliafito super sweet guys and I loved their first book. 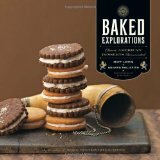 Their second book Baked Explorations: Classic American Desserts Reinvented , continues their theme of giving well-loved American desserts a modern edge. It’s not surprisingly they have a design background: I love the retro stylings of the book and the photography. 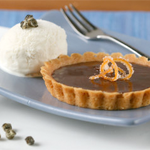 They even manage to make Mississippi Mud Pie look elegant! For the bread lovers, Tartine has come out with Tartine Bread , a sequel to their first book. Tartine is pretty much the first word that springs to the lips of any San Francisco residents when asked for bakery recommendations – the breads in this book are a pretty clear reason why! I’ve made multiple recipes from Deborah Madison’s Seasonal Fruit Desserts: +From Orchard, Farm, and Market and not been disappointed yet. A lovingly written ode to fruit and the seasons – if this book doesn’t get you eager to visit the farmers’ market, I don’t know what will. 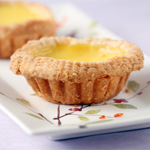 Her tart crusts are particularly excellent, and a snap to make even for the crust-phobic. 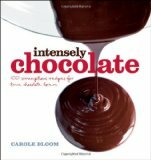 Carole Bloom comes out with one gorgeous cookbook after another like clockwork. 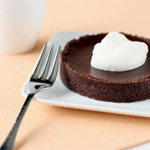 Her latest, Intensely Chocolate m focuses on using high cacao content chocolate in baking – a great opportunity for those of you looking to experiment with all the new artisan baking chocolates appearing in the market. 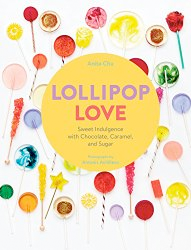 The presentation is quite similar to her last book, Bite-Size Desserts – appealing and straightforward. I had the pleasure of meeting Rachel Saunders, jam maker extraordinaire, and The Blue Chair Jam Cookbook is a real labor of love for her. This is essentially the only book you’ll need if you’re into preserving at all – 384 pages of jams, jellies, and marmalades, in flavors ranging from traditional to wildly inventive. 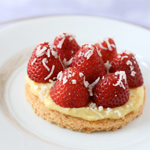 Sweet Magic: Easy Recipes for Delectable Desserts by Michel Richard wins my award for cutest book of the year. His charming hand drawings accompany his recipes for a mix of American and French desserts, along with his musings on the the art of dessert and the creative process. It makes for a wonderfully intimate, personable book, like talking with the chef himself. 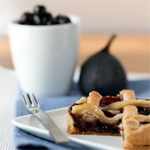 The recipes are remarkably simple as well – the title is quite true. So The Essential New York Times Cookbook: Classic Recipes for a New Century isn’t strictly a sweet cookbook, but the section on desserts is a wonderful overview of the evolution of modern American desserts. A lot of fabulous classics in there and Amanda Hesser’s engaging headnotes make every recipe a fascinating story. Oh, and the rest of the cookbook is pretty great, as well. 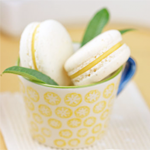 And, of course, Dorie’s Around My French Table: More Than 300 Recipes from My Home to Yours . I’m sure almost every food blogger out there already owns this book, but I couldn’t leave it off the list. The apple cake and chocolate mousse recipes make that impossible. 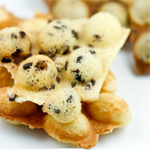 Now, I’m an old-school Dorie fan, so for those of you looking for a little more Dorie in your life, might I respectfully suggest one of her classics, and one of my very favorites: Paris Sweets: Great Desserts From the City’s Best Pastry Shops . This slim little book remains my favorite armchair trip to Paris and its endless pastry shops. 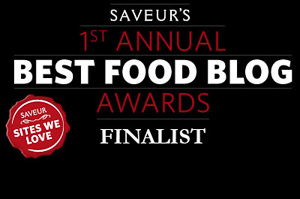 Thank you so much for including me on your amazing 2010 cookbook list. What a perfect ending to a not so perfect day. You are my Tiramisu! Thanks for the list. I always walk into Barnes & Noble looking for a cookbook and immediately become confused and overwhelmed, not knowing which are good or not. I’m hoping to get Dorie Greenspan’s book for Christmas though. 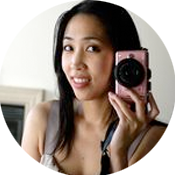 Hi Anita, Thanks so much for including me! Sorry I didn’t see you at the SF Chocolate Salon in November. I agree with you that this year has been an amazing year for baking books! I have four of the books on this list alone. (full disclosure, I tested recipes for the baked explorations, and so didn’t purchase it myself). I was beginning to think I had a cookbook addiction (which I surely do) but I still think it has been an exceptional year for them. With interest in cooking and baking so high, next year is likely to be good as well. ha, yeah, you stretched the theme of the list a bit, but that’s okay. all great books here. my copy of FLOUR is already getting dog-eared because i love it so much. 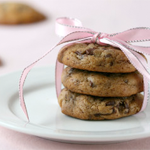 Thank you so much for the wonderful resources on baking books for 2010! I want them all, although I think I’m running out of space with cookbooks in my apartment. I will be checking some of these out. On the top of my list I would like to get Ms. Levine’s book as I went to her bakery in NY a couple of years back and purchased delicious jams to bring back home. Great post! Anita- this is such a great idea. I have a few of these on my wish list and glad to hear they’re favorites of yours too! What a great summary of cookbooks! Dorie’s is already on my wish list, but I love the description of the photos in Sarabeth’s (I can never get too many pictures in my cookbooks!). And the seasonal fruit dessert cookbook looks amazing. Fruit desserts are the best! Im so glad you made this list! I now have a better idea what to get my mother and aunt for their birthdays. They are always the hardest to buy for but a cook book never fails. Thanks for the comment! Take at look at the “Intros to Baking” section of my Amazon store – the Martha Stewart is a good, approachable one, and I also like Dorie Greenspan’s Baking at Home and Sur la Table’s Art and Soul of Baking. Good luck!